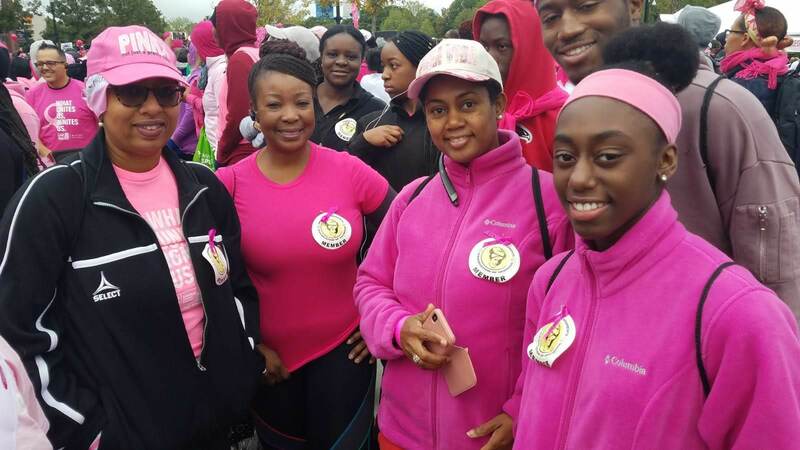 The Ghanaian Women's Association of Georgia walked in the Making Strides Against Breast Cancer walk on Saturday, October 27, 2018, in honor of Breast Cancer Awareness Month. 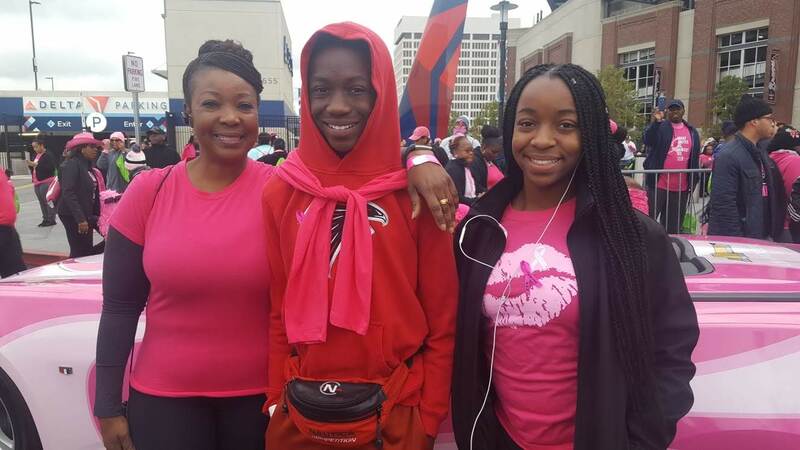 The event which was organized by The American Cancer Society and Avon, and presented by Independent Insurance Agents for a Cure, was held at the Suntrust Stadium in Atlanta. A large crowd gathered at 7 am for registration and began walking the 3-mile route at 9:15 am. 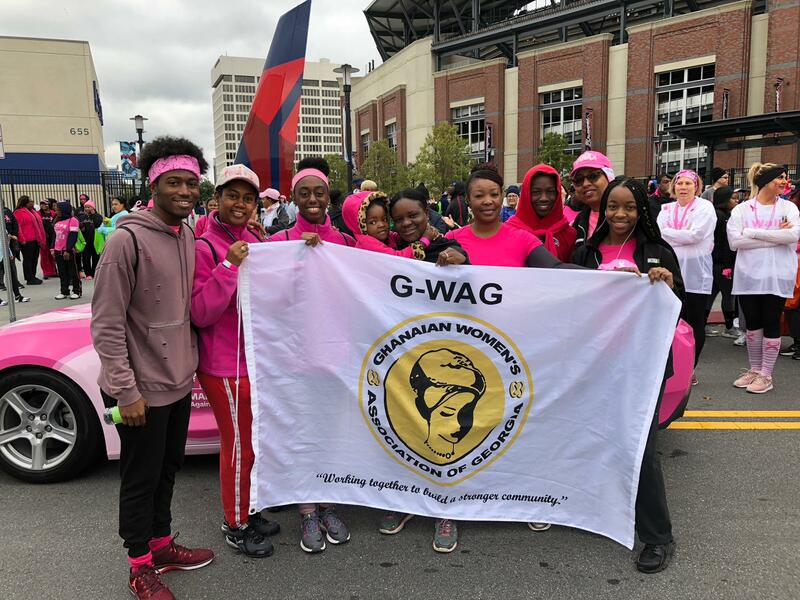 The GWAG team (GWAG Ladies) led by its secretary, Nicole Twum-Baah, completed the walk in a little over an hour and raised about $400 towards the fight for a cure to breast cancer. Below are a few pictures from the walk before it began. More pictures available here. Enjoy!